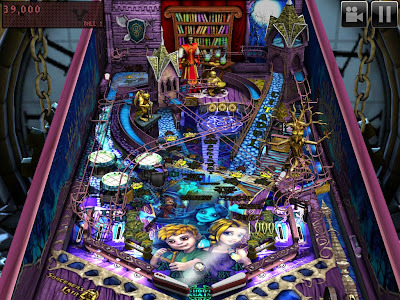 Pinball, as a game, is one that I enjoy. Though you see them less and less in arcades or dive bars, if there's one available, I'd be happy to plunk in a couple of quarters. Videogame pinball hasn't captured me in the past, however. Maybe I never gave it a chance to be honest. But it dawned on my one day, with $.99 burning a hole in my digital pocket, that the iPad probably has at least one pinball game for it. Then to my utter surprise, the highest rated one, and one that I've seen available for other platforms, is FREE. 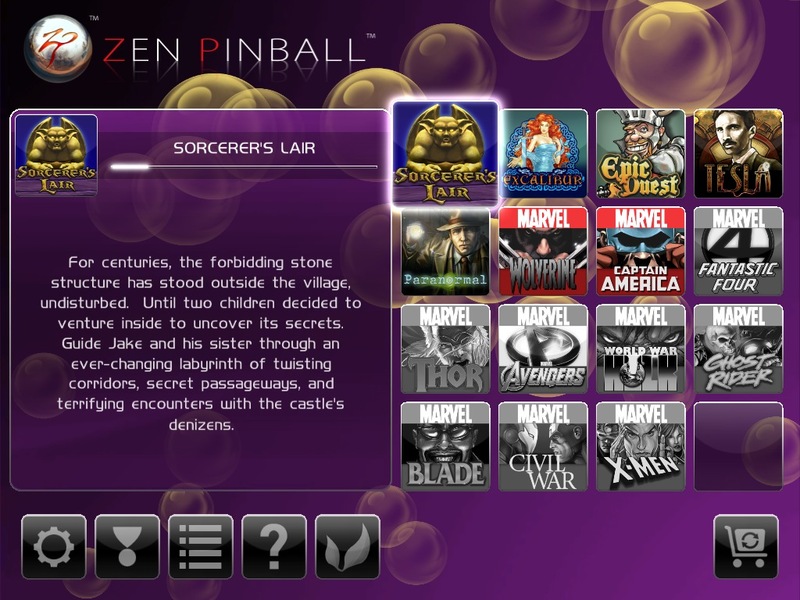 After installing Zen Pinball, I realized that it, in and of itself is a Pinball platform. You're not stuck with one, or even three tables. The first is free, but they are constantly adding more tables to it. Here's the thing though, while I've handed over a few bucks for new tables since my initial download, the first table is probably still the best one! Go download it now! Even if you don't have an iPad, they have the game available for Mac, PC, Xbox, PlayStation, and Android. Back to my impressions of it on a mobile platform, in my case the iPad 2. The touchscreen is an ideal analog for your bumper buttons. 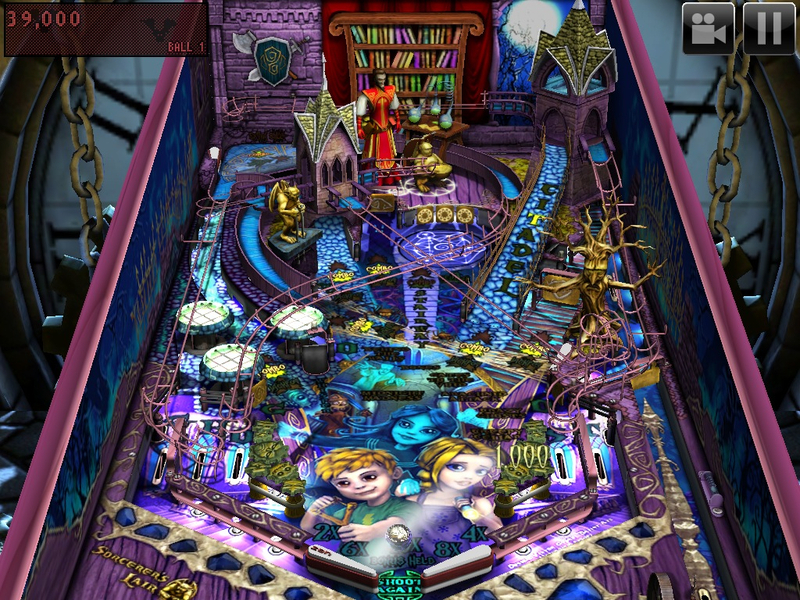 As a matter of fact, it feels the most natural out of any videogame Pinball that I've tried. Better than shift keys or space bars. Better than shoulder buttons or triggers. It's just got the right feel to it. The physics in the game are also realistic enough to be predictable and believable. You're really able to time and aim your shots. I should also mention that there's single player and multiplayer in the form of "hot seat" where you're passing the device back and forth per ball lost. So if you're waiting in line with someone, this is an experience easily shared. Pinball, by it's nature, is a temporary distraction. A limited time engagement which is probably why I like it as opposed to other iOS games that try to give you a "full game" experience that more than not falls flat. 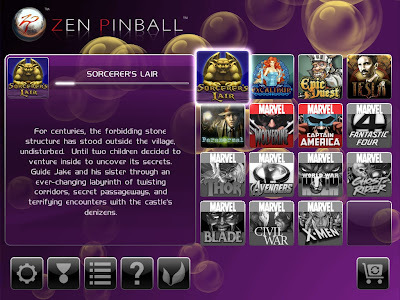 Zen Pinball however provides a full game, and a platform for growth, that is easily enjoyed to it's fullest in bite-size, mobile-device-friendly, sessions.